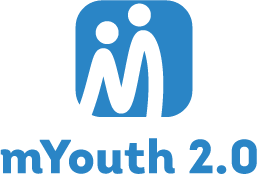 Involving more than ten enthusiastic teams and mobile apps from all parts from the Philippines the mYouth 2.0. Jury held its selection online meeting on the 13th of May with the hard task of selecting only three winners which will compete at the Asia Continental Camp in Hong Kong from 5th to 10th of June. Besides the chance to compete in Hong Kong, the winners got free a free online course in mobile development and a possibility to get one-week business development training in Ohrid, Macedonia.